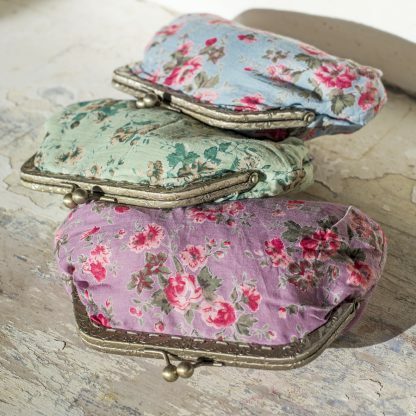 A medium sized clip purse in our beautiful rose printed cotton voile. Satin lined. In Rambling Rose print: Dusky Blue, Mauve, Mint and Vintage Rose print: Antique Green, Bluebell, Coral, Plum, Ultramarine.